Well, theres only one subject making the headlines on the blog, that's The Sun's Who Cares Wins Awards 2017 that happend last Wednesday, apologies for all those people wanting a blog update! Just been really busy. 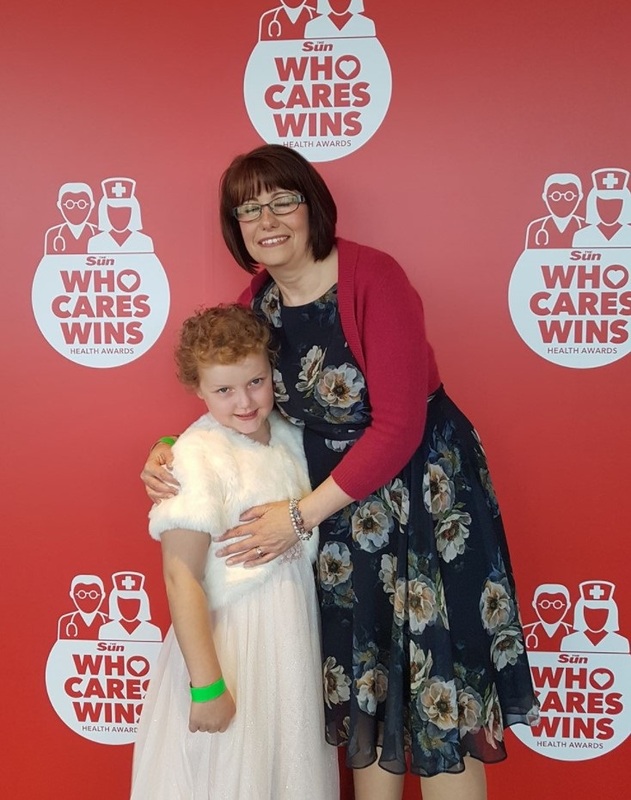 It was such an amazing day, although Amelia struggled due to the fact that she had chemo on the Monday, Vincristine, which really does knock her, but she as ever, battled through and won the attention of the celebrities! All the celebs were great with all the children and posed for photos and made a fuss of everyone if I'm honest, although Daddy nearly put his foot in it by calling Penny Lancaster - Rachel Hunter, that would of caused issues! The day was quite amazing in the fact that there were so many stories portrayed that at times the whole room was still and you thought that you were the only one in the room, for example Stepping Hill hospital first responders to the Manchester bombing were there and won a special recognition award. Another example were the parents of Jemima Layzell, who was the 13 year old girl who donated 8 of her organs after suddenly passing away with a brain aneurysm. Remarkable people, I actually questioned why the hell were we there, to be perfectly honest. Again, it just brings home how lucky we are that we are in the position we are in, count every day as a blessing and live for today!